Thanksgiving can be easier (and less stressful) if someone else cooks, cleans up, and takes care of the leftovers. The good news is that there are some restaurants in Little Rock, Arkansas, that do just that this holiday season. Whether you're in town visiting family, are on vacation, or are stuck on a business trip for Thanksgiving, you don't have to go through all the hassle of making your own meal this holiday season. Check out these great restaurants instead and take the stress out of your celebration—just be sure to book reservations well in advance as spots are likely to fill up at these popular establishments. The Capital Hotel offers not one Thanksgiving dining choice but four. One Eleven is serving Thanksgiving lunch from 11 a.m. to 3 p.m. It's $95 for adults; $135 with a wine pairing; $35 for kids; and free for children 5 and under. Thanksgiving brunch will be served on the Mezzanine also from 11 a.m to 3 p.m., and the brunch is $58 for adults, $25 for kids, and free for children 5 and under. Additionally, the Capital Bar & Grill is serving a three-course prix-fixe Thanksgiving dinner from 11 a.m. to 9 p.m. for $38 per person, but you can also order off a limited menu if you're not up for turkey and all the fixings. Alternatively, you can order Thanksgiving dinner-to-go from the Captial Hotel for 12 to 15 people for $275. Cracker Barrel serves great comfort food every day, and Thanksgiving Day is no exception. It's a chain, but Cracker Barrel's turkey, dressing, and trimmings are excellent, and homestyle cooking is its specialty, after all. Plus, it's affordable. If you're not in the mood for traditional Thanksgiving food, you can order off the regular menu. All Cracker Barrel locations serve turkey and dressing from 11 a.m. until close on Thanksgiving Day. You can also order your meal for pick-up. Locations in Little Rock are at Springhill Drive, Shackleford Road, West Commerce Street, and Skyline Drive. The award-winning Del Frisco's Grille is serving up a three-course prix-fixe Thanksgiving dinner prepared under the direction of Head Chef Maeve Cook. Some highlights besides turkey and all the trimmings are deviled eggs, butternut squash bisque, pumpkin cheesecake, Nutella bread pudding, molten chocolate cake, and a salted caramel pudding jar. With treats like those, you might want to start with dessert first, and you'll get it all for just $39 per person. DeGray Lake Resort State Park in Bismarck offers a special Thanksgiving getaway over the long weekend with a Thanksgiving buffet dinner at the Shoreline Restaurant. You can stay in the lodge or camp out for a nature-filled fall holiday weekend, which is great because Bismarck is about 65 miles from Little Rock, meaning it requires a day trip to get there. This Thanksgiving dinner is normally a sellout because of the one-of-a-kind experience provided by the staff of the park. 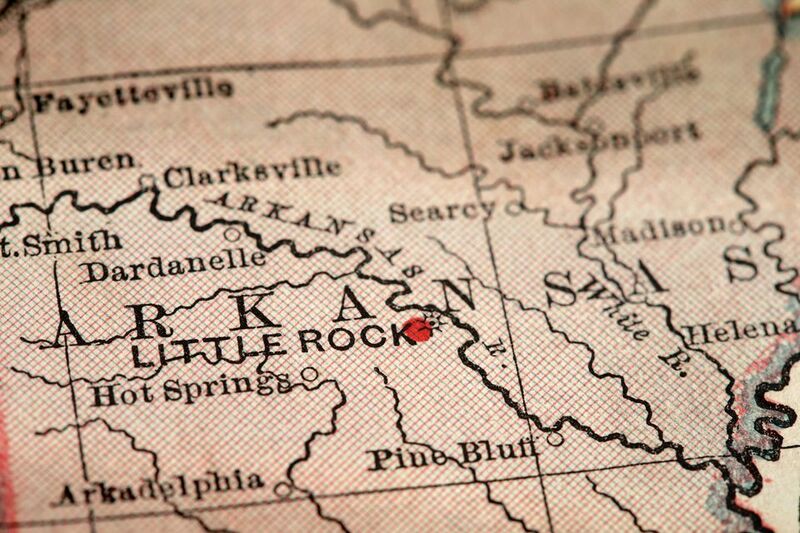 The feast is located in the rustic timber-and-stone lodge built in the 1930s by the Civilian Conservation Corps in Petit Jean State Park, the state's first state park, in Morrilton, Arkansas, which is about 70 miles from Little Rock. The cozy ambiance in a beautiful natural setting makes this an ideal escape if you're traveling with a special someone this holiday season. This upscale Thanksgiving buffet featuring turkey, ham, casseroles, soup, salad, homemade bread, and all the fixings is offered in a lovely setting at the Mountain Harbor Resort & Spa at Lake Ouachita. It's a bit of a drive at 82 miles from Little Rock, but it's worth the journey for a traditional Thanksgiving feast and event unlike any other around. The Skillet Restaurant in Ozark Folk Center State Park in Mountain View—about 100 miles from Little Rock—serves a traditional Thanksgiving buffet with turkey and all the fixings, and you'll be entertained by a gospel concert as an added bonus. The buffet is open from 10:45 a.m. to 6 p.m. and costs $17 for adults and $9 for children 9 and younger.